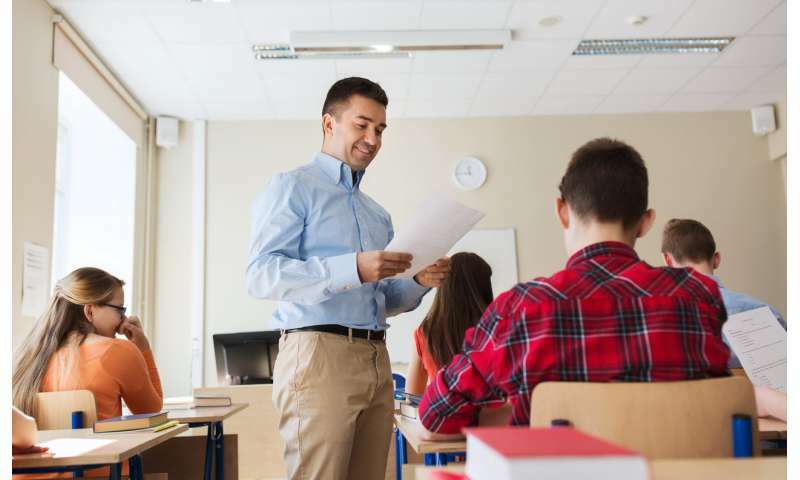 In a recent study, we examined one factor – teachers' adaptability – and the extent to which it might help promote teachers' well-being and reduce attrition. All of these situations require teachers to adapt in order to successfully navigate them. Adapting may involve adjusting lesson pacing to better engage students, minimising frustration when a lesson is not going according to plan, or adapting one's approach to collaboration to work well with a new colleague. We also examined whether there were additional connections with students' achievement. Results showed when teachers were more adaptable, and so had better well-being, their students had higher achievement. Work disengagement occurs when teachers continue to do their work, but they invest little or no effort; that is, they have largely "given up". This is a negative experience for teachers and usually occurs when teachers feel they can do little to influence their workplace experiences. Job commitment refers to teachers' attachment to and personal identification with their workplace. When teachers have high job commitment, they tend to invest more effort into their work and are less likely to quit their jobs. Our results showed when teachers were more adaptable, they tended to report lower work disengagement and, in turn, greater job commitment. For this finding, it's possible adaptable teachers are better able to effectively navigate the constant change, novelty, and uncertainty that occur in teaching. This may help them avoid the feelings of helplessness that lead to disengagement. In turn, when teachers put in little effort and have largely "given up", then it's unlikely they would feel attachment to or personal identification with their job. As an additional question in our study, we also looked at the role of principal support. Here, we asked teachers about the extent to which they felt the principal listens to teachers' perspectives (such as inviting teachers' input in decisions) and supports their initiative and innovation (such as providing teachers with choices in how they do their work). Our findings showed when teachers reported more principal support, they tended to be more adaptable. Adaptability has been highlighted as essential for teachers, given the constantly changing demands of teaching work. Our research has shown adaptability may also help teachers avoid feelings of disengagement and, in turn, avoid lower job commitment. And so adaptability may be one factor to consider in efforts to support teachers' well-being and promote teacher retention. Given principal support was also an important factor, our study provided some ideas for supporting adaptability in practice. Actions by principals such as inviting teachers' input in decisions, providing teachers with choices in curriculum and policy development, listening to teachers' perspectives, and expressing confidence in teachers' abilities have been highlighted as supportive of teachers' sense of empowerment and belonging in the workplace. Together, these approaches may also help teachers to be more adaptable at work.